Fort Hill once served as the plantation of Vice President John C. Calhoun. Today, the house stands on the campus of Clemson University. 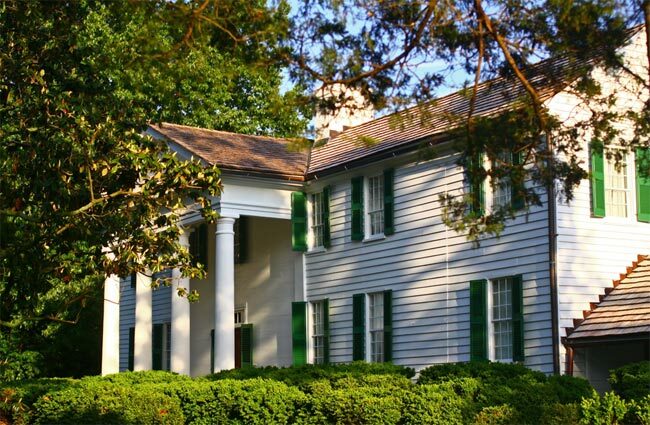 The areas of the Fort Hill open for public viewing includes Calhoun’s mansion, his office, a reconstructed kitchen, a partially restored spring, and a beautiful lawn. 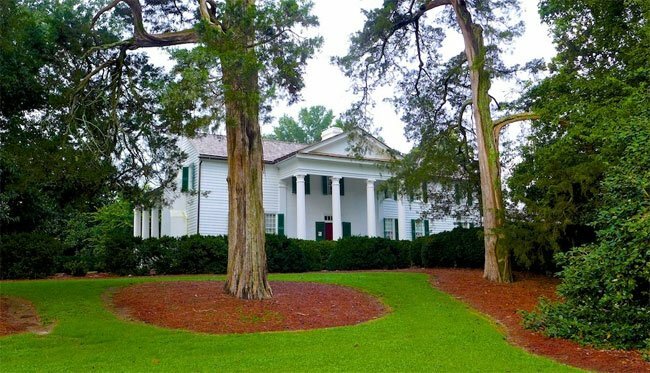 Fort Hill (John C. Calhoun Mansion & Library), the plantation home of John C. Calhoun during the last 25 years of his life, is today well-maintained in the center of Clemson University campus. When he moved to the house in 1825, Calhoun was Vice President of the United States, at the height of his career, having gained national recognition as one of the “War Hawks” in the Twelfth Congress and as Secretary of War under James Monroe. He long aspired to the presidency, without success, but he did serve another cabinet position, as Secretary of State under John Tyler in 1845. In 1850 Calhoun died and Thomas G. Clemson, his son-in-law, eventually inherited the estate. 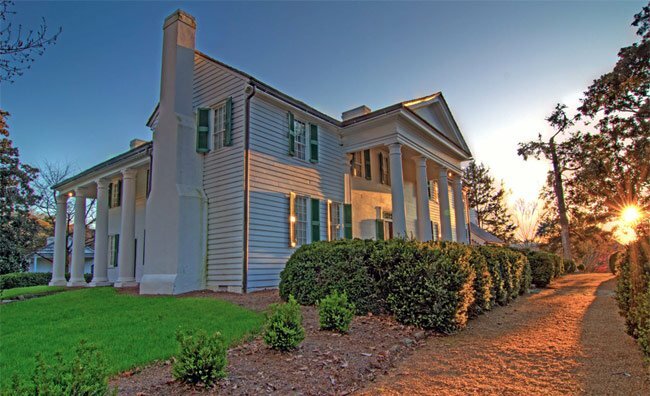 Clemson lived in the mansion for many years and he willed the estate to the state of South Carolina for the establishment of an agricultural and mechanical college, with a provision to provide for the preservation of the Calhoun mansion. 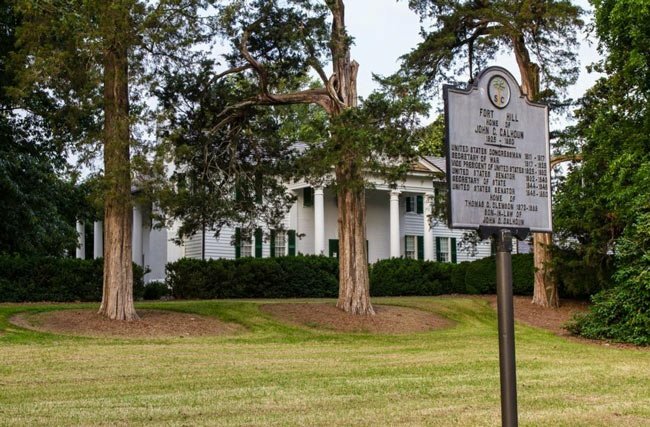 The Greek Revival mansion and office are all that remain from the former 1,100-acre plantation with many outbuildings. The one-room library or office is located about fifty feet south of the mansion. See a picture of the Calhoun House in Abbeville. I would like to point out the typo under the first picture of Fort Hill. Notice that mansion is misspelled — it reads mantion.